Guru Nanak Jayanti 2018 is one of the most sacred festivals for Sikhs, Guru Nanak's birth anniversary is celebrated on 23rd November 2018. The day is a national holiday in India. It is also celebrated as 'Guru Nanak Prakash Utsav'. 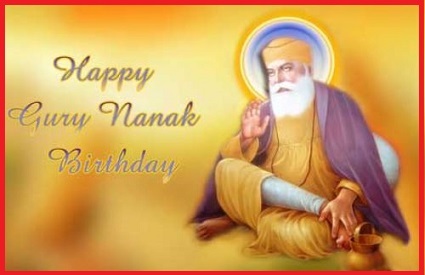 Guru Nanak Dev was born on the day of Guru Nanak Jayanti. He is the founder of Sikhism and the first of the Sikh Gurus. He was born on 15th April 1469, at the place called Talwandi, a village about 65 kilometers west of Lahore. Guru Nanak's Birthday falls on the full moon day of Kartik month according to the Hindu calendar. This time in 2018 it is on 23rd November. On this day Nanak Ji's teachings written in Guru Granth Sahib are preached. Guru Nanak Dev developed a unique spiritual, social, and political platform based on equality, fraternal love, goodness, and virtue. His words are enshrined as 974 poetic hymns in the Guru Granth Sahib. Guru Nanak Jayanti celebrations include religious activities like Kirtan, Prabhat Pheri, Katha, Langars. Guru Dawaras are also well decorated followed by prayers on this day.